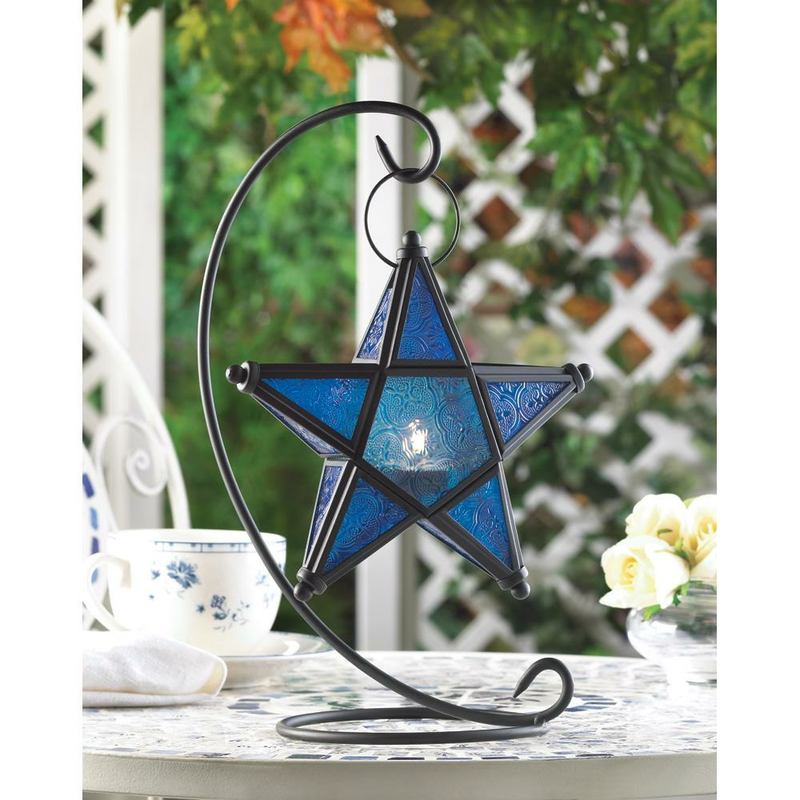 Make a wish on this beautiful blue star candle lantern! Simply add a candle to this lovely accent lantern to fill the area with a lovely azure light. 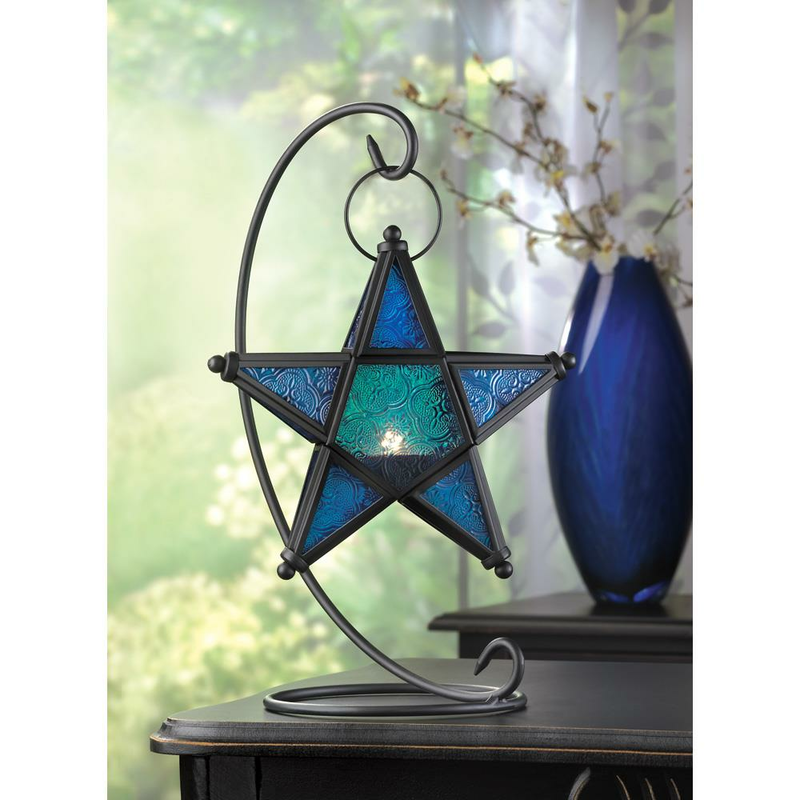 Beautifully fashioned from matte black metal and pressed glass for an artistic presentation. 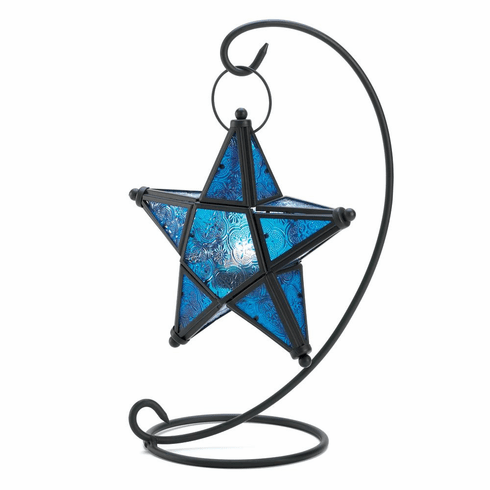 Lantern: 7½" x 2" x 8" high; stand: 14" high. Weight 1.4 lbs. Iron, Glass. Candle not included. UPC: 849179001407.